After painting a box of Conquest Norman infantry some Song Chinese crossbowmen last week, I have been giving my increasingly older eyes some rest. 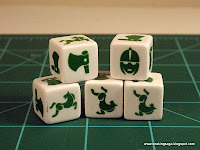 So I played a game of SAGA (Normans v. Saxons) and a new card game with my eight year old daughter. 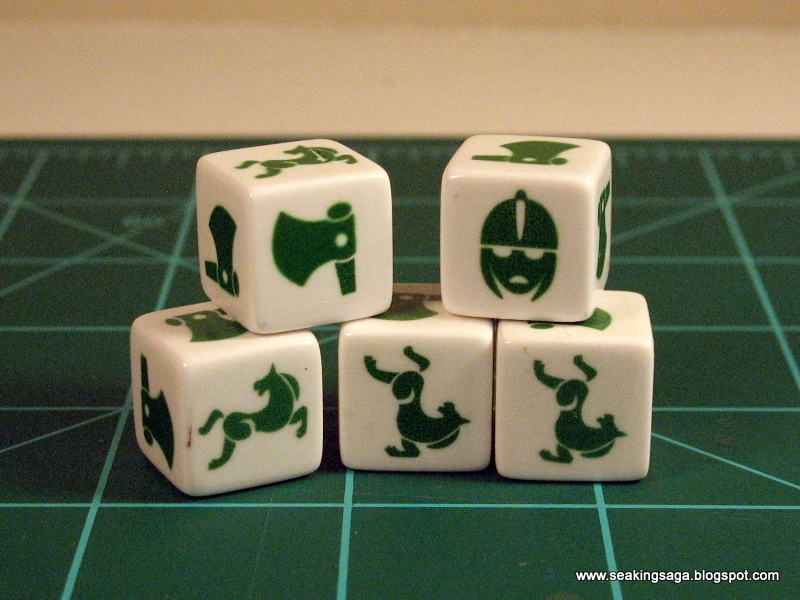 In Timeline, players are dealt a certain number of cards, and must discard all of their cards by placing them on the table in the correct order. 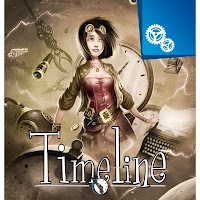 As more cards are correctly discarded, the complexity of the timeline increases. 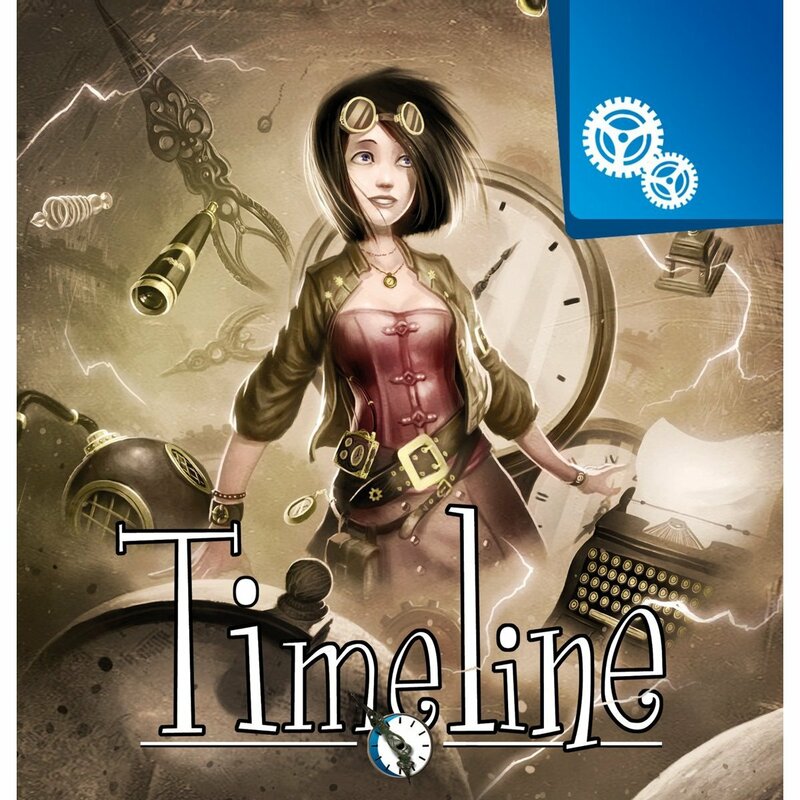 The enthusiasm my daughter has shown for the game was very rewarding, and its a great way to teach the history of technology. 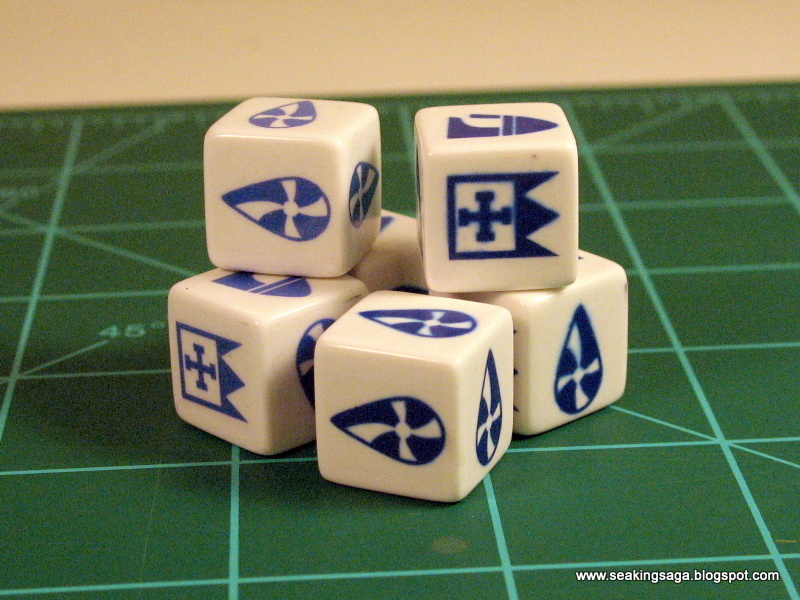 I also stripped off the paper stickers from my homebrew SAGA dice and replaced them with waterslide decals in color. 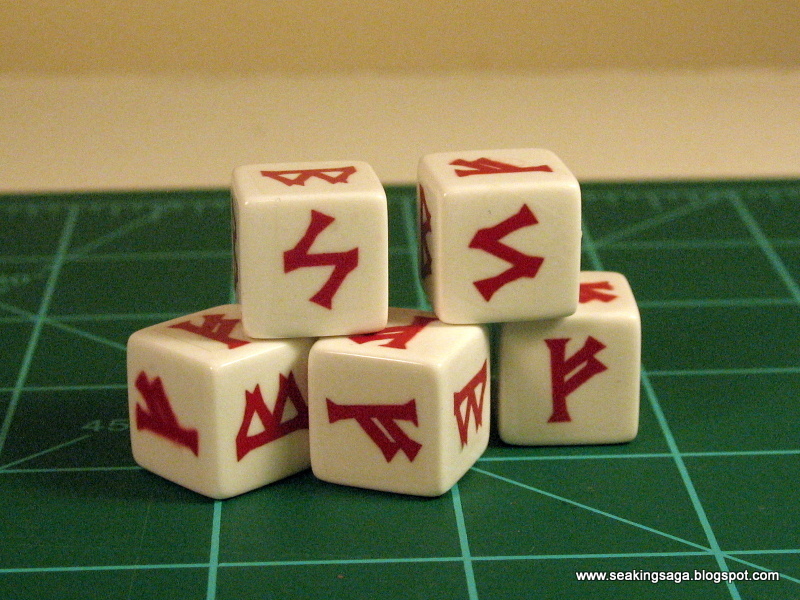 Overall, the look is much better than the black and white versions, although a few dice faces show some fuzziness, either from too thin a sealer on the waterslide paper, or too much submersion in water before applying. 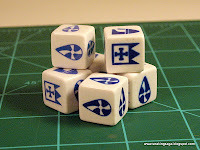 Hi,Alan, is it possible to download a PDF file with your dices symbols design?? ?